Matudnila.com - A Cebu Events Blog: Reminiscing Cebu's Maribago Bluewater Beach Resort! Home Summer Reminiscing Cebu's Maribago Bluewater Beach Resort! Reminiscing Cebu's Maribago Bluewater Beach Resort! This is Maribago Bluewater Beach Resort's Beach front taken last May before my Summer closes and be preoccupied with work and study. Maribago Bluewater Cebu is simply a way to embrace the charm to Island living and to give gift to your self to experience comtemporary way of living. The Maribago Bluewater Video speaks a lot about it from Leisure Activities, Relaxing Amuma Spa, Filipino Culture Enriched hospitality, resort tradition and Food. These was savoured with my last visit to Maribago Bluewater Cebu. And wait!And another one!Building bridges to extend my Summer this rainy months of July is a new offer again to savour another Bluewater beauty! Bluewater is inviting us bloggers to experience Sumilon Bluewater Island Resort situated down South of Cebu's sanctuaries of old heritage. In cooperation od course by The Pinoyworld Blogger. 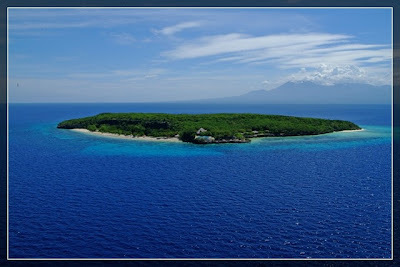 A panoramic view of Sumilon Bluewater Island Resort. More of these can be explored at the Sumilon Bluewater Blog. Another Island to step on! Another filipino hospitality to be observed! I am extending Bluewater's Invitation to all bloggers who wish to join this activity. Fore more info tick on this site: http://www.pinoyworld.org/ where my image credits be awarded. 11 comments: on "Reminiscing Cebu's Maribago Bluewater Beach Resort!" Waah miong maypa ka makauban. Daghan di kauban kay Saturday man gud... Tsk3x. Lingaw jud ayu ni bai..
i miss cebu! seeing the islands the beaches that it has. ill be there next year. wala pman cguro na finalize ang sched, if ever ma change ang sched nga wala silay classes, mkakuyog na sila. Maribago Bluewaters is one of the best resort na akong na visit. Thanks for dropping by. i have my eyes on bantayan but this will definitely be considered the next time i visit cebu. yeah! you shouldnt missed going to Bantayan Island especially in Sta Fe where long stretch of white sand beaches is at stake! Last summer i went there specifically SUgarbeach. It's Cebu's alternate to Boracay! Still have to discover Sumilon yet this saturday! Lets see what it got!